Searching for Truth in “The Truth Project” — Lesson 6: History — Whose Story? As we moved away from The Truth Project‘s (TTP) focus on the “pernicious lie” of evolution in Lesson 5 to the targeting of “historical revisionism” in Lesson 6, I felt as if the worst was behind me in terms of finding truth in the series. In a sense, I was correct. In another sense, I was dreadfully wrong. As much as I agreed wholeheartedly with most of what Del Tackett had to say regarding the topic of historical revisionism and the importance of the meta-narrative, I couldn’t help but be reminded time and time again how Tackett’s approach to the topic of human evolution nullified the impact of his words. I can certainly stand arm-in-arm with Tackett against the evil forces of historical revisionists. There is, he warns, extreme danger and power in the act of historical revisionism. “If you rewrite the past,” Tackett says, “you can make people believe whatever you want in the present.” In the context of TTP, Tackett’s warning targets specifically relatively recent attempts in various forms of media to downplay or outright erase the influence of Judeo-Christian culture upon on our founding fathers’ personal belief systems as well as our present-day political system. Historical revisionism, regardless of how unsavory the past is to one’s sensibilities, is downright criminal. But isn’t historical revisionism what Tackett attempts to do in Lesson 5? Rewrite the past of our species? Historical revisionism isn’t just relegated to the written word, but also to the various scientific disciplines. While ignoring the fact that TTP finds itself an unwitting ally of the Intelligent Design movement, of which a significant number accept the basic principles of evolutionary theory and common descent, and recognizing that TTP is not a mouthpiece for the young-earth creationist movement, TTP remains guilty of historical revisionism when in comes to human biology, anthropology, archeology, sociology, paleontology, geology, and a host of other -ologies, for all of these academic fields intersect heavily with evolutionary theory. Once one denies the fact of human evolution from less complex lifeforms and propagates such a worldview, one becomes guilty of attempting to erase the evidence of our aforementioned biological heritage from all of these fields of scientific endeavor, effectively taking credit away from the very unifying principle which has enabled a vast portion of our scientific advancements to come to pass. One of Lesson 6’s interviewees is Christian author and social critic Dr. Os Guinness. Guinness muses that Christians have “an abominable view of the past” and wisely notes that “where we’ve come from—the past and history—is the key to who we are and where we are. And those who don’t know history have no sense of identity and no sense of wisdom as they explore where they’re gonna go. Without history, we’re lost, both in terms of identity and in terms of wisdom as we go our way forward.” Well said, Dr. Guinness. However, I just about snorted Diet 7-Up out my nose as I realized how forcefully Dr. Guinness’ words thrust solidly into the heart of TTP‘s anti-intellectual aversion to evolutionary theory. Take Dr. Guinness’ quote and replace history with evolutionary history, and you’ll see what I’m talking about. What Tackett and other anti-evolutionists don’t quite comprehend is that evolutionary theory is, arguably, the foundation for modern scientific advancement in dozens of fields, including medicine, psychology, genetics, etc. Once you throw evolutionary theory out the window, what do you have? 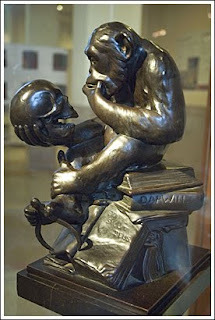 Either a crippled scientific community, hobbling around attempting to find a more “biblically” acceptable pathway to a workable medical solution, or a cognitively dissonant scientific community that assumes the truth of evolutionary theory with their hands while they shake their heads and close their hearts in disbelief at their own discoveries. 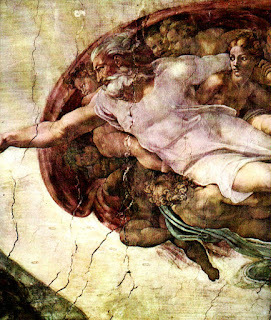 Another concept that Tackett champions is the meta-narrative, the “larger story” in which we find ourselves and in which God plays the primary roles of Creator of the cosmos and Lord of believers’ lives. Nevertheless, Tackett rejects the much larger story of human history, including our evolutionary descent from extremely humble beginnings, thus removing an important piece of the puzzle that is the “how” of human existence. “A people who are caught up in their own little story will never be willing to lay themselves down as stepping stones for others,” Tackett instructs. Amen, Mr. Tackett. Unfortunately, Tackett’s own nearsightedness truncates the true meta-narrative in favor of one that eliminates most of human history from the very meta-narrative he champions. He is caught up in a falsehood, a particular “little story” dictated by an uninformed understanding of the first three chapters of Genesis. As a result, he fails to endorse evolution-based scientific endeavors as “stepping stones” toward the greater health and wealth of human society, condemning the methods and principles by which these things are exclusively obtained. Although Tackett warns us against having a myopic view of history, Tackett advocates a much larger version of myopia when it comes to human origins. In essence, Tackett is saying, “Let it be rewritten, let it be done!” I don’t think so. 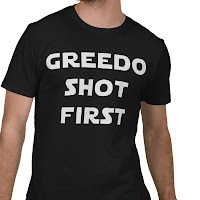 Oh, yeah … Han shot first. In the BODY OF CHRIST, February 26, 2010. The unanimous declaration of theistic evolutionists in the Evangelical Christian community. When, in the course of Christian history, it becomes necessary for one people to dissolve the doctrinal bonds which have connected them with another, and to assume among the rational minds of the earth, the separate and equal station to which the laws of nature and of nature’s God entitle them, a decent respect to the opinions of both scientists and theologians requires that they should declare the causes which impel them to the separation. We hold these truths to be self-evident, that all truth is God’s truth, that nature is endowed by its Creator with certain unalienable laws, that among these are Newton’s law of gravitation, the four laws of thermodynamics and Heisenberg’s uncertainty principle. That to observe these laws, the scientific method is instituted among men, deriving its just powers from the consent of the rational. That whenever any form of pseudo-science becomes destructive to these ends, it is the right of the Evangelical church to alter or to abolish it, and to institute proper methods of observation, laying its foundation on such principles and organizing its powers in such form, as to them shall seem most likely to effect positively their intellect and faith. Prudence, indeed, will dictate that creation doctrines long established should not be changed for light and transient causes; and accordingly all experience hath shown that the Evangelical church is more disposed to suffer, while evils are sufferable, than to right itself by abolishing the Special Creationist form of pseudo-science to which it is accustomed. But when a long train of abuses and usurpations, pursuing invariably the same object evinces an unintelligent design to reduce them under absolute doctrinal despotism, it is its right, it is its duty, to throw off such doctrine, and to provide new guards for its future security. Such has been the patient sufferance of these theistic evolutionists; and such is now the necessity which constrains them to alter their former creation doctrine. The history of the present Special Creationist movement is a history of repeated spiritual injuries and scientific usurpations, all having in direct object the establishment of an absolute doctrinal tyranny over Evangelical Christianity. To prove this, let facts be submitted to candid Evangelicals. Special Creationists have refused their intellectual assent to natural laws, the most wholesome and necessary for scientific advancement. They have forbidden Evangelical Christian scientists to acknowledge natural laws of immediate and pressing importance, unless “suspended” in their operation till their assent should be obtained; and when so “suspended,” they have utterly neglected to observe them. They have refused to observe other natural laws for the accommodation of large portions of the Body of Christ, unless those people would relinquish the right of membership in their respective churches, a right inestimable to them and formidable to doctrinal tyrants only. They have called together pseudo-scientific organizations at places unusual, uncomfortable, and distant from the depository of scientific knowledge, for the sole purpose of fatiguing Evangelical Christians into compliance with their doctrinal measures. They have dissolved spiritual bonds repeatedly, for opposing with manly firmness their invasions on the intellectual rights of Evangelical Christians. 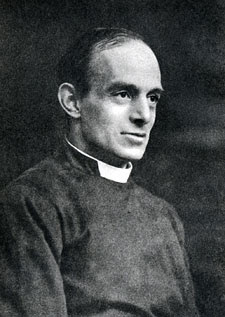 They have refused for a long time, after such dissolutions, to cause many non-Christians to become “elect”; whereby the observational powers, incapable of annihilation, have returned to secular scientists at large for their exercise; the Evangelical church remaining in the meantime exposed to all the dangers of invasion from within, and convulsions without. They have endeavored to prevent the population of true science in American public schools; for that purpose obstructing the scientific method for both Christian and non-Christian students; refusing to pass others to encourage their scientific knowledge hither, and lowering the conditions of new appointments to school boards. They have obstructed the administration of justice, by refusing their assent to recent Supreme Court rulings regarding the teaching of “creation science” in public schools. They have made judges dependent on their will alone, for the tenure of their offices, and the amount and payment of their salaries. They have erected a multitude of new Special Creationist-sympathetic organizations, and sent hither swarms of lawyers to harass our people, and eat out their brains. They have kept among us, in times of scientific advancement, fallacy-laden “scientific” textbooks without the consent of our children’s parents. They have affected to render the Evangelical church independent of and inferior to cultural and moral power. For suspending our own church memberships, and declaring themselves invested with power to “lord it over us” in all cases whatsoever. They have abdicated respect here, by declaring us out of God’s favor and waging war against us. They have plundered our schools, ravaged our courts, burned our copies of Darwin’s On the Origin of Species, and destroyed the spiritual lives of our families and friends. They are at this time transporting large quantities of pseudo-scientific theory to complete the works of intellectual death, spiritual isolation and doctrinal tyranny, already begun with circumstances of ignorance and perfidy scarcely paralleled in the most barbarous ages, and totally unworthy the representatives of Christ. They have constrained our fellow Evangelical Christian scientists taken captive in the laboratory to bear witness against their microscopes, to become the intellectual executioners of their friends and brethren, or to fall themselves by their hands. They have excited academic insurrections against us, and have endeavored to bring on the inhabitants of our intellectual frontiers, the merciless secularists, whose known rule of warfare, is undistinguished destruction of all religions, sects and churches. In every stage of these oppressions we have petitioned for redress in the most humble terms: our repeated petitions have been answered only by repeated spiritual injury. Special Creationist doctrine, the character of which is thus marked by every act which may define doctrinal tyranny, is unfit to be the doctrine of a intellectually free people. Nor have we been wanting in attention to our Special Creationist brethren. We have warned them from time to time of attempts by their sympathetic deacons and pastors to extend an unwarrantable jurisdiction over us. We have reminded them of the circumstances of our intellectual emigration and settlement in theistic evolution. We have appealed to their native justice and magnanimity, and we have conjured them by the ties of our common spiritual bonds to disavow these usurpations, which, would inevitably interrupt our connections and correspondence. They too have been deaf to the voice of academic justice and of consanguinity. We must, therefore, acquiesce in the necessity, which denounces our separation, and hold them, as we hold the rest of Christian pseudo-scientists, enemies in intellectual war, in spiritual peace friends. We, therefore, the theistic evolutionist representatives of the Evangelical church, in the Body of Christ, assembled, appealing to the Supreme Judge of the cosmos for the rectitude of our intentions, do, in the name, and by the authority of Jesus Christ, solemnly publish and declare, that these united Christians are, and of right ought to be free and independent intellectually; that they are absolved from all allegiance to Special Creationist doctrine, and that all theological connection between them and Special Creationism, is and ought to be totally dissolved; and that as free and independent intellectuals, they have full power to levy doctrinal war, conclude doctrinal peace, contract spiritual alliances, establish intellectual commerce, and to do all other acts and things which Christians may of right do. 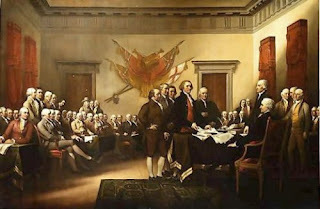 And for the support of this declaration, with a firm reliance on the protection of Divine Providence, we mutually pledge to each other our intellectual lives, our souls and our sacred honor. Several years ago, I became an Amazon.com Associate, selling books on the creation/evolution debate by way of my online store (accessible on the right-hand side of your screen). To date, I’ve sold 16 items, but not 16 books. And not everything was related to the creation/evolution debate. As I scanned the list of items, I was reminded up how much the World Wide Web really is like a web. Enjoy. Searching for Truth in “The Truth Project” — Lesson 5: Science — What Is True? Ladies and gentlemen, I give you the “pernicious lie”: Del Tackett’s presentation of the scientific evidence against evolution. 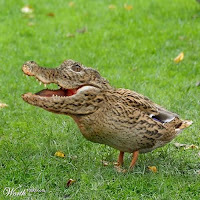 Sadly, one will not find in Lesson 5 the correct answer to Tackett’s question concerning science, “What is true?” Lesson 5 of The Truth Project (TTP) might not descend to the same level as Kirk Cameron and Ray Comfort’s “crocoduck” argument, but it gets pretty darn close. Like the dynamic duo of Cameron & Comfort, Tackett not ignores only the enormous wealth of evidence for evolution but also misrepresents what evolutionary theory teaches. Clearly, Tackett hasn’t done his homework and, as a result of his ignorance of the objective facts, ends up feeding lies to the very people whom he wishes to discover and embrace the truth. If I were a critically-thinking Christian, I would demand he conduct his research with more fidelity. (1) “Evolution,” Tackett claims, is “one of the greatest lies ever foisted upon man.” What Tackett doesn’t tell his audience is that TTP uses material promoted by the Discovery Institute extensively. It is, essentially, a mere mouthpiece for the Seattle-based Intelligent Design (ID) “think tank.” Much to my chagrin, Tackett finds himself in bed with a body of “scientists” of whom some profess belief in evolutionary theory (albeit directly guided by the hand of God) and common descent. For example, Michael Behe, whom Tackett treats like a rock star, recently wrote an article mentioning his belief in the descent of humans and apes from a common ancestor, “which I have always said I think is correct.” Either Tackett hasn’t really read either of Behe’s books, or he chooses not to reveal that fact to his audience for fear that it would ruin the integrity of his argument. The former would be sloppy research; the latter would be pure and simple deception. (2) Tackett quotes selectively from atheistic scientists, such as Richard Dawkins, to persuade his audience that belief in evolution in any form (with the possible exception of so-called “micro-evolution” within species) is a necessary and logical component of a godless paradigm. He also quotes exclusively from literature written by proponents of Intelligent Design in order to back his claims. Nary a quotation from Christian scientists who have embraced evolution, such as Francis Collins, Kenneth R. Miller, Denis O. Lamoureux, or Stephen Matheson. Not a peep either from Christian theologians who accept theistic evolution/evolutionary creationism, such as Bruce Waltke, Scot McKnight, or Mark A. Noll. As I mentioned in my critique of Lesson 4, if Tackett were to mention the mere existence of those listed above, Tackett’s argument would explode like just another supernova. (3) Tackett misuses terms such as hypothesis, theory, fact, and law extensively in order to discredit the fact of evolution and dismiss it as a “just a theory.” Thus, it is no surprise to watch Tackett warn his audience how frequent those terms are misused and misunderstood and, at the same time, butcher the very meanings of those terms he purports to understand. By this point in TTP, I’m no longer surprised at the “sleight of hand” Tackett uses to make his personal “biblical worldview,” as narrow as it actually is, appear to be the broad umbrella within Evangelical Christianity that he wishes it to be. To be fair, I find some common ground with Tackett at the beginning of his presentation. Whereas the mere contemplation of the cosmos stirs Carl Sagan’s heart because of his chemical connection to the stuff of stars, “another reason” stirs our hearts. When we look at our marvelous universe, both Tackett and I are compelled to contemplate the nature of the Creator of the cosmos in addition to the nature of the cosmos itself. We both believe that “the heavens declare the glory of God and the sky above [lit. firmament] proclaims his handiwork” (Psalm 19:1 ESV), and that the Creator’s “invisible attributes, namely, his eternal power and divine nature, have been clearly perceived, ever since the creation of the world, in the things that have been made” (Romans 1:20 ESV). Unfortunately, beyond this is where the ground upon which I stand lacks commonality with Tackett’s. Whereas my recognition of an “intelligent designer” is a byproduct of my theistic paradigm and is, admittedly, a subjective conclusion (much like “beauty is in the eye of the beholder”), Tackett actually has faith that the results of an objective pursuit of scientific truth should be persuasively sufficient to result in one’s adoption of the theistic philosophy of ID. Tackett looks to science to validate what Scripture taught millennia before we even had the power to look beyond what the naked eye could see. In doing so, however, he inadvertently makes the Bible and the doctrine of creation “subservient to scientific discussion” and places them “at the beck and call of the latest empirical evidence and interpretation” (Conrad Hyers, The Meaning of Creation , p. 88). What would happen, Mr. Tackett, if it were ever proven that “irreducible complexity” was actually “reducibly complex”? 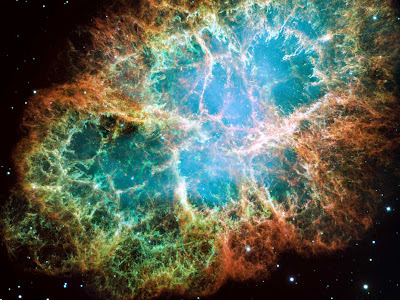 Remember my supernova analogy? Speaking of “irreducible complexity,” Tackett resurrects ID’s poster argument from the grave, despite the fact that a voluminous amount of research over the last 15 years has demolished the ID movement’s extravagant claims first popularized in Michael Behe’s Darwin’s Black Box: The Biochemical Challenge to Evolution . As if Behe’s 14-year-old book had just hit Borders (gotta love that new book smell! ), Tackett quotes Darwin, who wrote that his new theory would absolutely break down if it could be demonstrated that a complex system could not have evolved via a slow, gradual process. Taking up Darwin’s humble challenge, Tackett proffers the complexity of the human blood clotting system as evidence of intelligent design. Actually, after extensive research, we’ve found it’s not that complicated after all: each successive “cascade” of the blood clotting system is built upon nearly identical proteins, the existence of which resulted from gene duplication. In what appears on the surface to be a watertight argument, Tackett smirks and asks, “How long did it take before we got the clotting system right?” By this question, he implies that if we human beings didn’t have a complex, operable blood clotting system from the get-go, our species would have literally bled ourselves into extinction. What Tackett does not mention is that our primordial ancestors didn’t require a complex blood clotting system since their circulatory systems didn’t require the high-pressure system that we do. I doubt it ever occurred to Tackett that that blood clotting systems (and their more complex iterations) developed first, allowing for the later (or parallel) development of higher-pressure circulatory systems. The next “irreducible complexity” argument Tackett trots out is Behe’s “biological mousetrap,” the bacterial flagellum. It is, according to proponents of ID, one of many examples of an intelligently designed, irreducible complex machine. Take away one piece of the mousetrap, so the argument goes, it is useless. Evolutionary biologists are quick to point out that the various structures of the flagellum likely performed different functions before coming together in its current form and purpose, while other structures derived from convenient gene duplication upon which mutation could work its magic without harm to the organism. However, ID theorists are just as quick to argue that, while evolutionary biologists may be correct regarding some structures of the flagellum, there is “no explanation via Darwinian mechanism” for the entire structure, and that evolutionary theory requires the “borrowing [of] parts from nothing.” I wonder what will be made of that statement another 15 years from now. Tackett asks whether Darwin’s theory “stacks up against reality.” Tackett’s answer is that it does not. He claims that Darwin “has a problem with the fossil record,” which, allegedly, possesses a total lack of evidence for so-called “macro-evolution.” The first nail in evolution’s coffin is Discovery Institute fellow Jonathon Wells’ Icons of Evolution: Science or Myth—Why Most of What We Teach About Evolution Is Wrong , which highlights ten evolutionary “hoaxes” and “myths.” Seriously, if this is all Wells has to go on in order to discredit evolution, he is going to have to write a lot more, and it would have to be factual as well. Tackett also ridicules Stephen Jay Gould’s fossil-record-explaining theory of “punctuated equilibrium.” Again, it isn’t surprising to hear Tackett not only misstate Gould’s theory but also twist it beyond recognition, making it fit his anti-evolutionary purposes. It is to evolution critic David Berlinski that Tackett appeals next. In an interview clip with Berlinski, he highlights the so-called “problem” of whale evolution. We have two fossil forms on either end of the alleged spectrum, Berlinksi notes, but where are the other 49,998 versions in between the two fossil forms which complete the 50,000+ molecular changes (determined by “back of the hand” calculations!) to account for the Point A to Point B evolutionary journey? “There ought to be some evidence!” Tackett cries! And so there is. There are other “fossils” of which Tackett is either completely unaware or, because of the strength of the DNA evidence, chooses not to bring up out of fear. Can you say, “Human chromosome 2”? Good! I knew you could. In another example of Tackett’s penchant for false dichotomies, he claims that abiogenesis (which he mislabels “spontaneous generation”) requires that such an occurrence come about by godless forces. But why should something that occurs via natural means be considered something that was never intended by God to happen? Why should the natural laws God designed be insufficient to create life from non-life? One individual in my small group stated that she thought a God who used evolution to create was a failure, for He had to try and try again in order to “get it right.” What a narrow view of nature and the amazing process by which it diversified! Personally, I find a God who would create natural laws to produce everything without the need for His direct intervention to be much more amazing than a God who resorts to pulling a cud-chewing rabbit out of his hat just to make science comport with His own Scriptures. In the end, it is Intelligent Design, not evolution, that actually limits God’s power and creativity. In addition to ignoring the objective results of scientific endeavor, Tackett fears the alleged philosophical results of methodological naturalism, namely atheism. “The result,” Tackett claims, “is the propagation of a worldview that ‘scientifically’ excludes the Creator, thus ‘freeing’ mankind from accountability to a higher authority.” Tackett claims further that “evolution effectively rules out the existence of God.” Gee, if I had known beforehand that accepting the evidence for evolution would automatically make me a functional atheist, I probably wouldn’t have fallen for the “pernicious truth” in the first place and instead found solace in cognitive dissonance. Of course, Tackett wouldn’t recognize evolutionary theory if it bit him with 6-inch T. rex teeth, as he states time and time again (as evidenced throughout TTP) that the theory of evolution is intimately related to questions dealing with the origin of the universe and the origin of life. The pernicious truth is that evolutionary theory does not speak to those events; rather, evolutionary theory speaks to how the diverse forms of life on earth, both extant and extinct, came to be; likewise, evolutionary theory speaks neither to the existence of a Creator nor to the non-existence of a Creator. As Tackett rightly says, it only does so when “science has moved into philosophical mode” and attempts to encroach upon a domain in which it has valid claim. Mr. Tackett, do you not recognize that you engage in the very same behavior of which you accuse Richard Dawkins? Your own philosophy has “moved into scientific mode” and is encroaching upon a domain in which it has no valid claim. “Why does evolution shut out any scientific evidence against it?” you ask. “Don’t let the philosophical side of science affect the scientific evidence,” you warn. Hello! Science shouldn’t have a philosophical side, Mr. Tackett! As much as you want there to be, there shouldn’t. But atheism is the least of our worries, Tackett argues. Moral evil will abound as well if we Christians fall for the pernicious truth. Darwinism is, after all, one of the “primary theories that has been used to persuade people there is no God.” That may be true for some, but it is not true for everyone. It certainly wasn’t true for Darwin, whose agnosticism had more to do with his inability to form a personally satisfying theodicy after the death of his daughter Annie than his scientific research did. As a counterpoint to Tackett’s logic, I could highlight the use of the Bible to justify slavery by many Southern clergy in the 18th and 19th centuries. Since biblical authority implies the existence of God, then one could just as easily argue that theism is one of the “primary theories that has been used to enslave African-Americans.” Just as Christianity has been used to justify all sorts of moral horrors throughout the last two millennia, so has Darwinism suffered by the hands of those whose concern was more about power than the truth. Not only does evolution destroy the need for God, it destroys the need for a Savior. Tackett quotes with delight G. Richard Bozarth, who, in a 1978 article in American Atheist, wrote, “Evolution destroys utterly and finally the very reason Jesus’ earthly life was supposedly made necessary. Destroy Adam and Eve and original sin, and in the rubble you will find the sorry remains of the son of God . . . and if Jesus was not the redeemer who dies for our sins, and this is what evolution means, then Christianity is nothing.” Evolution means nothing of the sort. As an evolutionary creationist, I still believe that humanity possesses a sinful nature and that we are still in need of a Savior. Tell me again, Mr. Tackett, the part about where I become an atheist? As I conclude my critique of this particular lesson, I will admit that Tackett said one other thing with which I agree: “General revelation is a valid source of truth.” He also offers wise advice in that “we must be careful as Christians that we don’t see what we want to see.” Amen, Mr. Tackett. It’s a shame, however, that you refuse examine the body of evidence yourself that you might recognize the true nature of the very revelation you claim to study. Like you said, you really need to be more careful. Preview of Searching for Truth in “The Truth Project” — Lesson 5: Science — What Is True? Science, logic, hermeneutics, a firm grasp of the languages in which [the Bible] was written, and all other machinations of the human mind have the potential to explode interpretations of Scripture that steadfastly remain uninformed, dogmatic, and benighted by prejudice. Searching for Truth in “The Truth Project” — Lesson 4: Theology — Who Is God? This will likely be one of the shortest installments in my “Searching for Truth in The Truth Project” series. There is, I believe, much to commend this particular lesson; but that may be because the question Who is God? is less controversial within the wide swath of Christianity that exists. Of course, there are finer points of debate, such as the “openness” of God and process theology, but I feel that those discussions are well outside the scope of this series. I am, for the purposes of this post, comfortable thinking of God in traditional, biblical terms, which is not to say that my concept of how God works His will in the grand scheme of things hasn’t been affected by my move from young-earth creationism to evolutionary creationism. It’s just that that particular part of my theological journey is much less settled than others. I appreciate Del Tackett’s humility when it comes to the question asked in this lesson, for the answer to that question is virtually impossible to answer. I would venture to say that Mr. Tackett would agree with me that, even with the Church’s possession of the Bible and our peek into the person of Jesus Christ through the eyes of His disciples, we’ll have to settle for “partial credit.” Even if we were to spend time with Jesus face-to-face during His incarnation, we would still be at a loss as to who God really is. While Jesus reflected the Father perfectly in some aspects of His nature, the very incarnational nature of Jesus’ earthly ministry kept other aspects of God’s nature hidden and shrouded in the mists. After discussing the grandiosity of the answer, Tackett moves into a discussion about eternal life. To be honest, I was expecting a discussion dealing with personal eschatology, and I was surprised that Tackett’s take on the answer was much more sophisticated than what usually passes muster in most Evangelical churches these days. Eternal life, says Tackett, is something that is presently obtained by the establishment of a personal and transformational relationship with God through Jesus Christ, which only increases in intimacy upon passing from this life into the next. My biggest issue with this particular lesson was the degree with which Tackett hangs his personal theology on the nature of inspired Scripture. “Ninety percent of the work is done” if we accept (1) the existence, nature, and character of God as revealed in the Bible, and (2) the nature of the Bible as God’s inerrant and infallible written word. Granted, for the Christian, the Bible is the only source of specific revelation we have about Jesus Christ, whom all true Christians accept as the incarnation of the infinite God in fallible flesh. As I mentioned in an earlier post, I believe that the Gospel accounts of the person and ministry of Christ are historically reliable; at the same time, I don’t believe it is necessary that the Bible be an inerrant document in order to transmit historical truth. It is on this very point—the nature of the Bible and the degree to which it is inspired—that Tackett’s worldview is most susceptible to crumbling. For Tackett, the real battle over what constitutes a biblical worldview is found in the halls of academia. In what is becoming a usual past time for Tackett, he presents his audience with a false dichotomy: either the Bible is, in its entirety, perfect and without error, or it is completely unreliable and untrustworthy. There is no mention of a gradient in between the two opposite conclusions (e.g., my own view of “biblical adequacy”). There is only mention of the extreme liberal position represented by the infamous Jesus Seminar, which Tackett ridicules. (While I appreciate and accept many of the advances made in the field of biblical criticism, I do believe the Jesus Seminar went too far in their attempt to reconstruct the so-called “historical Jesus.”) Tackett also makes mention of the Documentary Hypothesis (commonly referred to as the JEDP Theory), which posits that the Pentateuch was compiled from as many as four separate sources and later compiled by a post-Exile redactor (or editor). The belief in non-Mosaic authorship of the Torah, that the Bible “evolved over time,” is a hallmark of liberal theology and should be rejected outright, Tackett claims. This is quite contrary to the research of Evangelicals like Peter Enns and Kenton Sparks, both of whom are quite comfortable with accepting, to a significant degree, many of the results of biblical criticism (see Enns’ Inspiration and Incarnation: Evangelicals and the Problem of the Old Testament and Sparks’ God Word in Human Words: An Evangelical Appropriation of Critical Biblical Scholarship ). Is Tackett really willing to admit that the Books of Moses hadn’t undergone any redaction or editing throughout the centuries? Even though the authorship of the Torah is attributed to Moses by Jesus himself, is Tackett really willing to claim that Moses wrote of his own death and burial (cf. Deuteronomy 34)? That the absolute trustworthiness of Scripture (including places where it touches on science) is foundational to Tackett’s worldview is shown by his admission that alleged contradictions in Scripture (e.g., 2 Kings 1:17; 8:16; and 3:1) “threw [him] into a terrible crisis.” Without resolution, Tackett says, his entire Christian experience would be thrown into doubt and would very likely result in atheism. Thankfully, Edwin Thiele came to Tackett’s rescue and, through The Mysterious Numbers of the Hebrew Kings and its research regarding differing reign-calculation methods between Judah and Israel, cleared up the apparent contradiction, making right what Tackett feared was wrong. With Thiele’s scholarship in his back pocket, Tackett sighs with relief, “You can trust the Scriptures.” No, Mr. Tackett, you can trust the historians who recorded the reigns of the Hebrew kings, just like you can trust secular historians to give you the dates during which Abraham Lincoln occupied the office of the President of the United States. (This also begs the question whether Thiele’s work is without error.) And while you can trust that particular portion of 1 Kings, why do you feel that the accuracy of one particular aspect of 1 Kings automatically transfers to the remainder of Scripture? Moreover, just because one alleged contradiction is resolved doesn’t mean that the resolution constitutes proof of a passage’s inspiration, only its inerrancy. Even the concept of inerrancy runs into a problem: a phone book can be free of error, but such a quality says nothing about whether it was God-inspired. There is danger in Tackett’s line of logic, for the removal of just one card could very well result in the collapse of the entire house. I find it sad and unfortunate that his worldview is so dependent upon a particular view of Scripture and not on the transforming faith experience he has undoubtedly undergone. I don’t intend to debate here the finer points of biblical criticism, the nature of Scripture, or the degree to which it was inspired. What I do want to make clear is this: Tackett is not giving his audience the full picture and proceeds to restrict the Christian faith to an extremely narrow intellectual path, one fraught with dangerous obstacles and traps of human construction. In doing so, he diverts the traveler from exploring safer routes that lead to the very truth he so desperately desires to possess. Once again, Tackett fails to illuminate his audience by providing examples of dedicated Christ-followers in the Evangelical community who disagree with him. Where’s the truth in that? Searching for Truth in “The Truth Project” — Lesson 3: Anthropology — Who Is Man? The Truth Project’s third lesson is a mixed bag, full of both good and bad theology, cutting philosophical insight, and a plethora of false dichotomies. It had me both cheering from the couch and throwing mental tomatoes at the screen. Sometimes even within the same talking point. Tackett begins this particular session by announcing, “The answer to the question ‘What is man?’ is not simple.” Man has existed, Tackett explains, in a number of modes, all of which can be readily drawn out of Scripture and thus constitute the “good theology” that I mentioned previously. Mode #1 is a state of innocence (although I’m not sure how Tackett exegeted man’s state of innocence from Gen 1:27) and mode #2 is our post-Edenic, fallen state (Rom 5:12). In this state, humanity becomes an odd mixture of “imago dei” (Latin for “image of God”) and a sinful nature (Gal 5:16-17). Tackett divides mode #2 further into mode #2a, the state of being unsaved and destined for hell (Rev 20:15). Lastly, there is mode #3, the state of being saved and redeemed, destined to eternal life and eventually glorified, which is mode #3a (Rev 5:9). Honestly, I have no problem speaking in those terms. As a Christian, I find that they are biblical terms and the theology couched in those terms is good and true. However, I admit to finding myself thinking beyond those terms to the soteriological reality conveyed by the anthropologically incorrect proto-history that is Genesis 2-3. Over the course of the last year, I have come to recognize that the story of Adam and Eve is not an historical account of humanity’s transition from innocence to a fallen state. Rather, the story was written with an etiological purpose in mind. Using the genre of myth, which has profound explanatory power, the writer(s) provided the Hebrew people with an apologetic for why man’s nature is sinful. The sinful state of man is recognized, the question “Why are we the way we are?” is asked, and the cause behind our condition is explained in terms that had meaning for them—terms and meanings that are typically lost on 21st-century Americans by virtue of the cultural chasm that exists between civilizations separated by thousands of years and miles. Although not historical, I believe the story of Adam and Eve still wields considerable theological power and, in a sense, speaks to each of us individually. We all are born in a state of relative innocence and, at the same time, have within ourselves the “curse” of our evolutionary ancestors. Our selfish inclinations and our instinct for self-preservation served us well in the battle for survival in millennia past, yet they continue to rear their ugly heads throughout the course of our lives. There is, to be sure, a point in each of our lives at which we become cognizant of our actions and their moral implications, and we find ourselves faced with a choice: to do right or to do wrong. Unfortunately, 100% of the time, we pick the fruit off the Tree of Knowledge of Good and Evil. In the eyes of God, we become sinners in need of redemption. The story of Adam and Eve can also be viewed as the story of humanity itself. Our personal experiences transitioning from a state of innocence to a state of rebellion can be extrapolated to the history of the human species. As mankind evolved, our primitive ancestors lived in a state of relative innocence, unaware of their actions’ moral implications. In the course of time, however, our capacity as a species to distinguish between good and evil arose and, as a result of our gradual transformation into a moral creature, the laws of God were written on the hearts of men (Rom 2:14-15). Since then, humanity has been in constant rebellion against its Creator, and we forever will be this side of the grave. In Tackett’s paradigm, however, to accept such propositions would be to admit that we are “goo-men.” We are no better than the worms that I cut in half as a child, and no less worthy of a similar fate. But man is different. Tackett claims that man possesses unique qualities such as self-awareness, creativity, and moral consciousness. I think this greatly exaggerates (and quite possibly oversimplifies) the uniqueness of humanity in relation to the rest of the animal kingdom. Although I have not researched this particular aspect of man’s alleged uniqueness, I suspect that socio-biological literature is replete with examples of self-awareness, creativity, and moral consciousness in relatively advanced life forms other than human beings. At the very least, I believe it is safe to say that we human beings possess the aforementioned characteristics to a much greater degree. From a faith perspective, it could be argued that these characteristics evolved in our ancestors to such a degree that God saw fit to reveal Himself and fellowship with them and, by extension, us. Tackett also brings up another aspect of humanity with which I am currently struggling to reconcile: the dualism of man. Most Christians believe that man is either a tripartite being (body, soul, and spirit) or bipartite (body and soul/spirit, with the differentiation between the soul and spirit being nonexistent). After coming to terms with the common descent of man from less complex life forms and accepting that the Bible reflects, in many areas, ancient scientific worldviews that are recognized today as inaccurate, I have begun to question the scientific accuracy of those portions of Scripture which teach the existence of man’s immortal soul, distinct from the flesh inherited from his or her parents, and given to each of us by God at the moment of our conception. Lately, I have been leaning toward monism, a anthropological term that describes man’s nature as holistic. (On my reading list is Joel B. Green’s book Body, Soul, and Human Life: The Nature of Humanity in the Bible. If anyone has any other suggestions, feel free to comment.) In this view, man does not possess separate, supernatural facets of his being that are distinct from his physical body. I think there is much to commend the view that man does not actually possess a distinct spirit, yet can be granted eternal life by God on a conditional basis. When our bio-physical “coil” dies, our “identity,” or kernel (1 Cor 15:37), is granted a bio-spiritual body prepared for life in the presence of God, a life that “flesh and blood” cannot inherit (1 Cor 15:50). Once again, however, Tackett views the rejection of man’s tripartite or bipartite nature as a highway to hell. To believe that man does not possess a supernatural and immortal soul is to fall for a “pernicious lie.” Such a lie, he claims, is a “result of [accepting the findings of] science,” and trusting in science leads to things such as radical environmentalism, a greater suicide rate, and the acceptance of a philosophy that man is no more important than an insect. What a gross over-generalization. Tackett seems to having nothing better to do than to highlight the “worst of the worst”—a “minority majority” of sorts—to bolster his claims, and proceeds to lump all scientists and humanists into the same refuse pile. Surely, there are many individuals who, when rejecting certain presuppositions, fall into the aforementioned philosophies and fates; but I can just as easily blame King James Only-style fundamentalism (a la Peter Ruckman) on one’s adoption of the doctrine of biblical inerrancy. Falling victim to such philosophies is not a logical result of adopting monism. Tackett also falsely claims that part and parcel of monism is the concept that humanity is basically good and that it promotes a philosophy of “self-actualization.” What?!?! Ever take any theology or philosophy courses in your doctoral studies, Mr. Tackett? I believe that monism is what you bring to it. If you bring to monism the belief that there is no possibility of an afterlife, then there is no afterlife in your monist worldview. On the other hand, if you bring to monism the belief that God can grant that “kernel,” that part that makes you uniquely you, the gift of eternal life, then where is the danger in holding such a view? The end result, whether it be Tackett’s tri-/bipartitism or Christian monism, is the same for the Christian believer. Tackett then presents another false dichotomy for which his audience falls, to wit, that if man does not have a supernatural and immortal soul, then “man has no purpose, no meaning in life, no free will.” This is patently untrue. Those who are Christian monists do not seem to have any problems finding purpose and meaning in life, or freely choosing their course. Tackett claims that our view of God and man is fundamental to how we live our lives. I wholeheartedly agree. Regardless of the reality underlying the debate, our personal worldview affects the outworking of our faith (or lack thereof). But while Christian monists reject the existence of man’s immortal soul this side of the grave, they still live for Christ. So is there truly danger in holding to Christian monism? Even without belief in God, one can find purpose and meaning in life. Purpose and meaning are generated by self-aware, moral creatures; they are not generated by the mere existence of a soul. You sell yourself and the rest of humanity short, Mr. Tackett. Consider this: If there truly is no God, what are we to make of your sense of purpose, Mr. Tackett? Is your sense of purpose in life merely illusory? Of course not. These discussions beg the question: Why do our differing theologies come to the exact same conclusions regarding man’s sinful nature and his need for redemption, and the existence of life after death in the presence of God? Because they both recognize the current state of reality and the future promised state, even though the means differ by which we became sinners and by which we will become glorified. Unfortunately, Tackett would never accept the possibility that a genuine Christian could accept (much less hold) such views. I suspect that recognizing the true literary nature of Genesis 2-3 would implode Tackett’s worldview and drive him into severe depression and a false sense of purposelessness. It is as simple as that. I would ask Mr. Tackett this: Why do you refuse to hold up dedicated Christians like myself as counter-examples, or “third ways,” to your false dichotomies? Wait, don’t answer that. I will answer it for you: Because you can’t hold us up as alternatives for fear that recognizing our existence would destroy all for which you have worked in promoting your particular biblical worldview. Now that I have trashed Tackett’s logic on several points, I will give him props on one particular point. One of the questions that Tackett asks is “Why is there evil”? Although he does not really address the origin of evil, he does catch secular humanists using flawed logic. When atheistic materialists attempt to argue against the existence of God by appealing to the existence of evil, Tackett presses the question back on them. Not only can they not answer their own question, the very question rings hollow, for their use of ethical language is not valid given that a godless cosmos is amoral. In an interview clip featuring R. C. Sproul, Sproul claims that “atheism is in our nature.” Really, R. C.? I guess that explains why the vast majority of the world’s population worships God or some other deity/deities. Tackett holds up Ernst Haeckel’s allegedly fraudulent embryo illustrations (first published in 1874, not 1876, as TTP states) as evidence against evolution by using the “why-fake-an-illustration-if-evolution-is-true” argument. He also claims that if one falls for the “ontogeny recapitulates phylogeny” concept, then one cannot help but reduce humanity to the level of an amoeba, voiding mankind of any importance or special quality. Firstly, Haeckel—genuineness of the illustrations notwithstanding—was not off the mark one bit. Check out these resources. Secondly, does the use of fraudulent evidence in certain circles of Christian apologetics invalidate Christianity by virtue of their use? Of course not. Don’t be so obtuse, Mr. Tackett. It doesn’t become you. Tackett came up with another anti-evolution epithet: “imago goo.” I just about peed my pants when he said that. “Imago Goo” would make a great title for a blog. 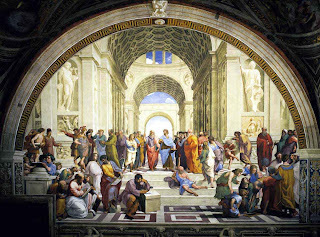 Searching for Truth in “The Truth Project” — Lesson 2: Philosophy & Ethics — Says Who? In Lesson 2 of The Truth Project (TTP), Del Tackett begins to establish the foundation of what he labels “The Truth Temple,” a “framework of foundational concepts.” Two pillars of this temple are (1) philosophy and (2) ethics, both of which I believe to be absolutely essential to a profitable worldview. Philosophy, Tackett argues, must comport with truth, which, in turn, must accurately depict reality (as discussed in Lesson 1). Thus, there is, in Tackett’s mind, only one true philosophy derived from one true religion. I agree. The only problem is that Tackett assumes his philosophy—one of the pillars of his conception of a “biblical worldview”—is correct, exclusive of all others that exist within Christianity. As Tackett continues the lesson, he spends a considerable amount of time drawing attention to the philosophy of Carl Sagan, focusing on his famous declaration that “the Cosmos is all there is, all there was, and all there ever will be.” He also highlights Sagan’s equally famous quip that we humans are made of “star-stuff,” which is why our species feels so drawn to discover what I call our “solar heritage.” “Our contemplations of the Cosmos stir us,” Sagan said, toward obtaining a greater understanding of our place in this universe, pushing us to recognize and meditate on our connectedness to everything else around us. “Some part of our being,” Sagan continues, “knows this is where we came from. We long to return and we can because the Cosmos is also within us.” While neither Tackett nor I believe that Sagan’s “cosmos” tagline, nor his implicit pantheism, is correct, Tackett ridicules Sagan’s “star-stuff” comment, following it up with the anti-evolution epithet “goo-man,” referencing evolutionary biology’s assertion that human beings, along with the rest of the living world, have their origin in lower, less complex lifeforms. Science aside, I don’t think “dirt-man” has a flagellum to stand on. Ever read Genesis 2:7, Mr. Tackett? Tackett then goes on to list a bunch of –isms that he believes constitute “hollow and deceptive philosophies,” such as materialism, idealism, empiricism, rationalism, naturalism, determinism, relativism, mentalism, mechanism, solipsism, subjectivism, institutionism, and hedonism. Again, I agree that all of these –isms are hollow and deceptive, especially if not complemented by theism. (No disrespect intended to my atheist or agnostic friends!) One of the –isms that Tackett contends against relentlessly in TTP is atheistic humanism, represented by science historian William B. Provine, the living, breathing “straw man” that Intelligent Design founder Philip E. Johnson had been waiting for his entire life. After playing a clip from a debate between Provine and Johnson, Tackett pounced upon Provine’s personal declaration of Darwinism’s implications, to wit, that “there are no gods or purposes, no ultimate foundation for ethics, no free will, no life after death, and no ultimate meaning in life.” Provine is dreadfully wrong, for Darwinism implies none of those things. Rather, Provine’s philosophical end game is a direct result of adopting an atheistic and philosophically materialist worldview, and not a result of accepting evolution as fact. Unfortunately, Tackett knows nothing about evolutionary biology and proceeds to take Provine at his word, holding him up as a paragon of non-virtue, and attacks the very science that I and many other Christians believe represents accurately the truth about the mechanisms by which life’s diversity arose. I must also take exception to Tackett’s presupposition that God has revealed Himself in only two ways. The first method is through nature, or “general revelation.” Score one for Tackett, for I, too, believe that God’s nature is reflected by the orderliness and beauty of the cosmos, inasmuch as we understand it accurately (i.e., correct science). The second method, Tackett declares, is through the written Word, the Bible. While I believe that the Bible is, in a sense, revelation from God, I don’t necessarily believe that it can provide us with a correct “worldview” when taken as a whole, especially considering that there exists, within its very pages, inaccurate scientific concepts. If Tackett were truly bent upon adopting a worldview exclusively from the Bible, he’d join the ranks of the Flat Earth Society. Not to the exclusion of the written Word, I much prefer to recognize Jesus Christ as a superior method by which God revealed/reveals Himself, Jesus being the God-man about whom the Bible testifies. Only insofar as the testimonies of the New Testament writers reflect the true person of the Christ—and I believe those testimonies to be reliable and trustworthy—can we begin truly to develop a biblical correct “worldview,” one based upon the Living Word whose theology derived directly from the Father. Lastly, I want to draw attention to something of which Tackett warns his audience: assumptive language. According to Tackett, assumptive language is a “powerful and deceptive use of words in which a seemingly simple statement is made, hoping the hearer will buy the simple statement without recognizing the huge assumptions that come with it.” If I may be so bold, Mr. Tackett, you are not innocent of manipulating assumptive language, and your audience is clearly not immune to falling prey to it. Being a dyed-in-the-wool Evangelical doesn’t mean your “goo” don’t stink. Can I get an “Amen”?